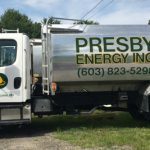 Presby Energy, Inc., formerly Stevenson oil founded in 1959, was purchased in 2006 and has expanded its services. In addition to Home Heating Oil and Kerosene delivery, we now offer sales and installation of new heating systems, 24-hour burner service, and 24-hour on and off road diesel pumps. Seal air leaks around doors and windows and install appropriate insulation where necessary. Our experienced construction crew is eager to help you save.